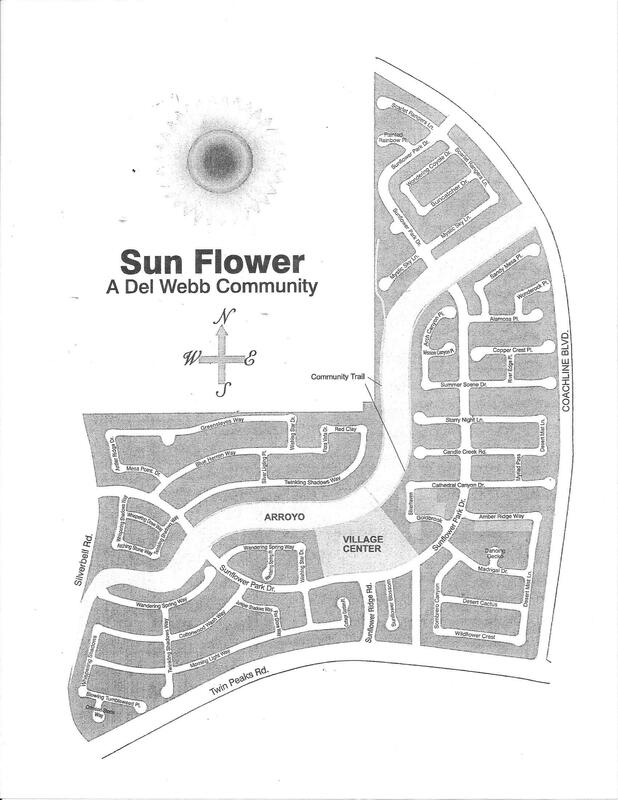 Del Webb's Sunflower is located west of I-10 Exit 244 (Twin Peaks Rd. Exit). Drive west on Twin Peaks Rd. past Coachline and turn right on Sunflower Ridge, which is the entrance to Sunflower.